A great start to the game - fantastic in fact, with back and forth hockey over the first seven minutes of the game seeing no whistles and fantastic flow. Quite possibly the best start to a game I have seen all season. Unfortunately, the Officiating would rear it's ugly head and immediately change the game and blow a call that would have a huge impact on it. The Bulldogs scored and went up 1-0, but unfortunately as the puck went in the whistle was sounding as Stefan Wornig never had possession of it on a Nathan Dingmann shot down the left wing allowing Liam Conrad to tap it in. It wasn't as if it was a trickler out of the equipment either, he just plain didn't have it. I guess it's the downside to no whistles over the opening seven minutes as the stripes must have been gassed and hoping for an excuse to stop play. It was obvious from the Officials body language and apparent confusion that he knew the call was blown, and one would think that discretion would allow the goal to stand saying it was in as the whistle sounded but that wouldn't be the case as it was waved off. The Kings would of course score seconds later to make it go from bad to worse, as affiliate player Josh Coblenz potted a rebound at the side of the net, with assists going to Andy Stevens and Austin Kamer to make it 1-0 Powell River at 7:54 of the first. The Dogs didn't react well to the adversity, and the Kings got an obvious boost from the turn of events, having the better of the play through the remainder of the period with Carson Schamerhorn coming up with a series of good saves to keep it 1-0 after one, with the Kings out shooting the Dogs 13-4. The Dogs had a great chance with traffic at the net just seconds into the second period that unfortunately stayed out - the Kings would counter on the rush and make it 2-0 moments later with Rylan Ball joining the rush and accepting a drop pass in the slot that he snapped top corner, far-side off the post and in past the blocker of Schamerhorn. Assists on the play went to Tristan Mullin and Liam Lawson at 41 seconds of the second. I thought the Bulldogs noticeably sagged at this point, or perhaps the Kings got another lift, or maybe it was a combination of both. Either way, the Dogs looked disheartened and a step behind while the Kings were controlling the better of the play, going up 3-0 at the 5:40 mark after a Bulldog icing left a tired group on the ice. Jack Long put a puck perfectly off he side of the net for Carter Turnbull, who tipped it home past the blocker of Schamerhorn. Johnny Evans also drew an assist for winning the faceoff. The Kings built the lead to 4-0 later in the period when the Dogs were caught on a horrific change and the Kings moved the puck beautifully as Stefan Wornig played the dump in ahead for Andy Stevens, who sent Jeremey Leipsic ahead on a partial 3 on 0 breakaway. He would make no mistake keeping the puck and snapping a shot past the blocker of Schamerhorn at 9:59 of the third. One more before the period was out saw the Kings go up 5-0 on a rebound converted on the power play by Gavin Rauser. Jeremy Leclerc picked up the only assist at 14:04 of the second. Shots in the period actually favoured the Bulldogs 14-12 but the chances certainly favoured the Kings. The third period started with the Bulldogs having some carry-over time on the power play from the end of the second, but they couldn't capitalize on it. They would have two more chances as the period wore on, but the only fireworks throughout the frame came with three minutes to go as Paul Meyer and Tristan Mullin dropped the gloves but that would be it as the game ended in a 5-0 final. Final shots favoured the Kings 32-26, with Carson Schamerhorn taking the loss and Stefan Wornig picking up 1st star honours with the win and the shut out. The Dogs went 0 for 3 on the power play while the Kings went 1 for 3. The Dogs open up 2016 on Saturday night when they visit the Capitals in Duncan. 2015 comes to an end tonight with the second game in as many days between the teams as the Bulldogs (13-19-2-2, 5th Island) do battle against the Kings (19-14-2-0, 3rd Island) in a New Year's Eve affair at the Hap Parker Arena. The Kings winning the opener of the two game set last night 2-1 in overtime. While it's a hard loss to take for the Dogs, it's also a huge point earned and a good bounce back effort against a good team in a hard place to play - here's hoping the Dogs can find another gear tonight to end up on the other end of the score. A Dogs win, and they are tied with the Grizzlies for fourth on the Island. They need to expect a motivated Kings bunch - they are just a single point back of the Capitals for second place in the Division. During the 1st and 2nd Intermission shows tonight catch a repeat broadcast of "A Very Merry BCHL Christmas"
It's the same format as my Bulldog Christmas special that ran last night - I contacted every Coach and Broadcaster from around the league and asked them to share what was on their Christmas wish list and also encouraged them to send out season's greetings. 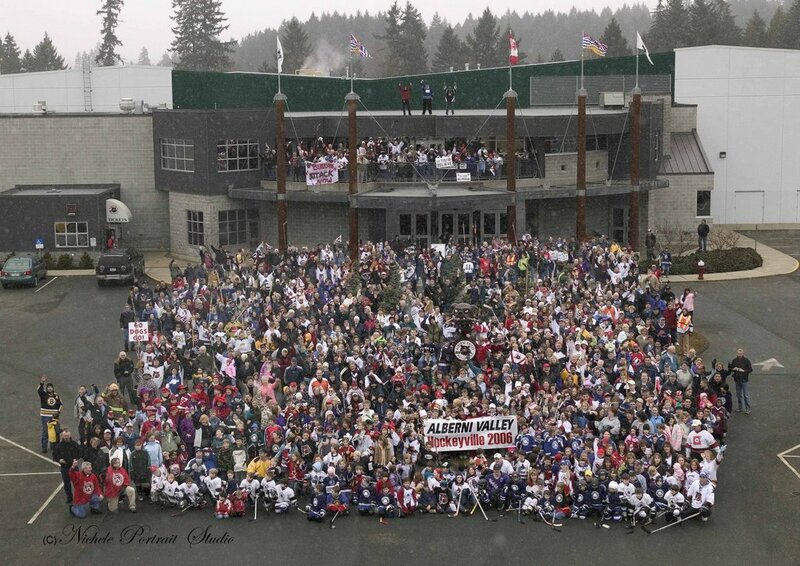 Once again a huge thanks to everyone from around the league for taking the time to be a part of this. It's not a small undertaking by any means to get a hold of everyone but it's a lot of fun and it makes me appreciate being involved in such a great league as the BCHL. Please accept my apologies for the lack of a final score picture from the scoreboard. 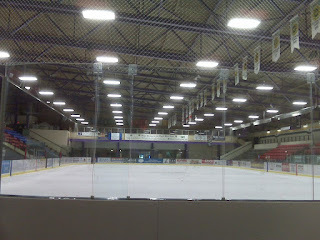 They don't turn off the clock faster anywhere in the BCHL than they do at the Hap! The game had a fairly energetic start, and didn't look like a post-Christmas break game as the pace was high through the first 10 minutes. Carter Turnbull had the best chance early, as he walked into the high slot off a turnover and ripped a shot off the crossbar. The Bulldogs answered with a solid opportunity of their own soon afterwards as Jordan Sandhu picked up a cross-ice pass on the rush and walked in tight down the left wing only to have Jeff Smith get a piece of it with his glove to keep it out. The Kings would take a 1-0 lead late in the period after a series of turnovers and failures to get the puck in deep at the Kings line ended up seeing the Dogs run around and the puck end up in the back of their net as Carter Turnbull made a pretty pass from the top of the slot to Johnny Evans at the back door where he potted a one-timer that Carson Schamerhorn had no chance on. Jack Long also drew an assist on the play at 16:09 of the first. Shots favoured the Kings 10-8 after 20 minutes. The second period was again played at a high pace, with little in the way of mistakes made by either side through the midway point of the period. Each team had an opportunity or two, but no glaring chances as it remained 1-0 Kings. The Dogs would crack the deadlock on a broken play at centre that was followed up by Paul Meyer, who skated up the right wing and over the Kings line into the top of the circle where he beat Smith with a quick release just inside the far post, blocker side to tie it at 1-1. Assists on the play went to Chris Schutz and Jordan Sandhu at 12:15 of the second for a 1-1 tie after 40 minutes. The Bulldogs out shot the Kings 8-4 in the period, leading the shots 16-14 after two periods. The third period through the first 10 minutes was again similar to the first two frames as it was fun hockey to watch but there wasn't much in the way of glaring scoring chances. The Kings had a good chance early when Tristan Mullin walked into the deep slot and rang a shot off the crossbar. The Bulldogs penalty killers stood tall, killing off a minor penalty to start the period, and another one soon afterwards to keep it 1-1. They would then be handed two more penalties in the final minutes of the game, but once again the penalty killers stood tall to keep it tied. A fantastic short handed chance late in regulation saw Jeff Smith come up big to rob Jordan Sandhu on a cross-ice 2 on 1 set up by Quinn Syrydiuk. A late hit on Sandhu drew no call while Syrydiuk retaliated to defend him, only to end up in the box with the Dogs killers forced to protect the tie again to secure a single point to force overtime. Shots in the third favoured the Bulldogs 9-4 for a 60 minute total of 25-18. The Dogs looked to dodge a considerable bullet early in overtime when a defender fell down and threw his stick - only to have the Referees not make a call on the play. The Kings would win it soon afterwards however as the Kings turned up ice and caught the Dogs in deep and flat footed as quick transition led to a breakaway to Rylan Ball who joined the rush and skated in alone where he put a backhand home past Schamerhorn for the 2-1 final at 3:11 of overtime, with assists going to Tristan Mullin and Chad Betts. Shots favoured the Dogs 26-20 with Carson Schamerhorn and Jeff Smith being the goalies of record. The Dogs went 0 for 2 on the power play while the Kings went 0 for 5. With the single point earned the Dogs are now just two back of the Grizzlies for fourth place, with two games in hand. The teams meet again tomorrow night in Powell River, a 5pm puck drop. It's back to game action tonight for the Bulldogs (13-19-1-2, 5th Island) as they head to Powell River for a double header against the Kings (18-14-2-0, 3rd Island) to close out 2015 and ring in 2016. This is the first game back for both teams coming off the Christmas break. The Bulldogs were last in action December 18th at home where they lost their second in row, 6-1 to the Cowichan Valley Capitals. 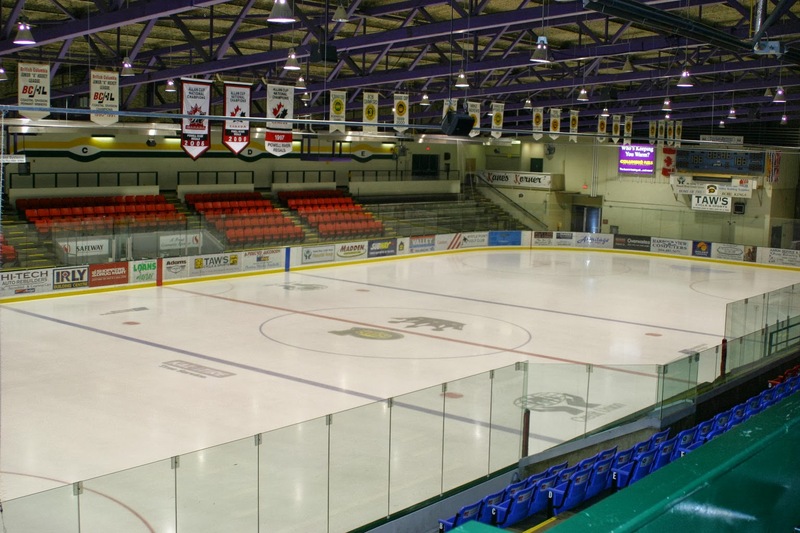 The Kings last played December 20th in Vernon where they concluded a three-game Interior swing with their third straight loss, 5-3 to the Vipers. Here's hoping the break did the Bulldogs well. They obviously headed into the break on a big low, losing 7-0 and 6-1 on home ice. Three days prior, they were riding high after winning two in a row. It's incredible how quick the peaks can change to valleys and vice versa. They enter play tonight in the same position they entered the two games prior to the break, three points back of the Grizzlies with three games in hand. The Bulldogs and Kings haven't met in a while, last meeting October 3rd in Powell River where the Kings picked up a 5-1 win. Van Isle Ford's Bulldogs Hockey on 93.3 The Peak FM begins with the pregame show at 6:45 with the puck drop and play-by-play to follow at 7:00pm. Coming up in the 1st and 2nd Intermissions tonight is a repeat of "A Very Merry Bulldogs Christmas" for those that missed it during the last Broadcast before the Christmas break. It's a compilation of the Christmas wish lists of all the Bulldogs players, coaches and staff. It's a lot of work, but it's always a lot of fun. The idea is simple - I asked the players what was their wish list and what they hoped would be under their tree Christmas morning, and I also encouraged them to send out Christmas greetings to whomever they wanted to send them out to.. 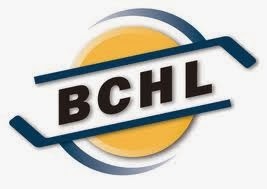 Tomorrow night it's a repeat run of "A Very Merry BCHL Christmas" which is the same format but with Coaches and Broadcasters from around the entire British Columbia Hockey League. The pace was fast from the opening puck drop with each team landing couple of big hits early. The Bulldogs had a great chance just over a minute into the game when Quinn Syrydiuk walked into the right circle and went high short-side on Storm Phaneuf, only to hit the post and cross-bar and have it stay out. The Dogs drew a penalty shortly afterwards and looked good on it for the first minute and change with a couple near misses on pucks on net and scrambles, but the Capitals quickly went up 1-0 on a shorthanded rush as the puck bounced over the stick of a Bulldog defender at the blue line and went the other way for a partial breakaway for Ayden MacDonald down the left wing. Brody Claeys would come up with a good first save but didn't get any help on the rebound as Kade Kehoe beat his man to the net to make it 1-0 at 4:45 with Chris Harpur also drawing an assist. Less than two minutes later it was 2-0 Caps on a faceoff win and a seeing eye slapper by Josh Owings that beat Claeys top corner, far-side over his blocker. Ryan Hogg picked up the only assist at 6:17 of the first. Despite the demoralizing start, the Dogs deserve credit for not packing it in, as they kept working and pushing the pace. They were rewarded for it late in the period when they drew a penalty and connected on it when Nathan Dingmann set up Marshall Skapski in the right circle where he one-timed one off the post, far side on Phaneuf. It would end up right on the tape of Chris Schutz, who wasted no time in one-timing it home at 18:59 of the first. The Dogs would draw another penalty on the next shift on an odd-man rush, and looked to have something going on winning the faceoff. It would bounce over the defenders stick at the line however, resulting in a shorthanded breakaway for Adam Osczevski that Brody Claeys came up big on with a stick save to keep it 2-1 after 20 minutes with the Dogs leading in the shots 15-13. Before the ice was wet to start the second any momentum the Dogs had gained was immediately lost as the Capitals went up 3-1 while shorthanded as Patrick Geary chased down a loose puck and walked down the right wing where he blew a slap shot inside the far post past the blocker of Claeys just 25 seconds into the period. The Capitals would further pad the lead on a pass out of the corner to the lip of the crease one-timed home by Kyle Topping through the legs of Claeys. Assists on the play went to Mitch Meek and Ben Berard at 6:27 of the second as the Caps led 4-1 and Carson Schamerhorn came off the bench in relief in net. The Bulldogs would have two fantastic chances late in the period as they had back to back shorthanded breakaways, the first for Brodie Smith, the second for Rhett Willcox, both stopped by Storm Phaneuf. The Dogs and the fans in the building were incensed immediately following the chance as Willcox went to the end boards to retrieve the puck where he was hit from behind by Connor Russell. There was no call on the play, and no whistle on the subsequent stick swinging between the two players. The boo birds really came out seconds later when Russel went up ice and took a pass out of the left corner and walked into the slot before ripping a wrister far-side past the blocker of Schamerhorn to make it 5-1, with assists to MacDonald and Geary at 16:05. Fireworks predictably erupted on the following shift when Quinn Syrydiuk was jumped by Ben Verall for a hit on a Caps forward. Another penalty against the Caps put the Dogs on a 4 on 3 power play, but despite several good chances they couldn't beat Phaneuf as he stood tall to keep it 5-1 Caps after 40 minutes. The Dogs out shot the Capitals 13-5 over the period for a 28-18 advantage after two periods, but it was the Capitals that found the net three times. The Bulldogs put on a push to start the third, but couldn't but a break to get back into it, coming close when Eric Margo rang a shot off the bar that stayed out. While the Bulldogs would continue to have their opportunities as the period wore on, they couldn't connect on them. Immediately following a 3 on 2 rush and an in alone chance for Tristan Bukovec that went up and over the net, the Caps went up ice and scored on a jam in attempt in the crease that saw Jarid Domin poke a loose puck through the legs of Schamerhorn. Matt Hudie and Kade Kedoe drew the assists on the play at 10:52 of the third to make it 6-1. Immediately following the goal an ugly incident saw Marshall Skapski take an awkward hit into the end boards from Jarid Domin. I didn't really blame Domin on the hit as Skapski attempted to reverse his track directly in front of him. What followed however was fairly disgusting to watch as Domin was challenged by Garrett Halls. Domin was a willing recipient, perhaps even having hit mitts off first. As Halls went down on his back on the outside of the net, Domin would stand above him and throw about four sucker-punch right hands into his face. Maybe I'm from all of a sudden a different era, but I strongly dislike anyone who punches anyone when they are down and the fight is over. I think it's cheap and dangerous and it lacks respect and it made me pretty hot if you can't tell, but maybe things happen when "emotions run high". It's not a matter of bias and seeing the game through rose coloured glasses either - as I stated during the game last night against Victoria, Drayson Pears deserved some commendation and he earned my respect for NOT taking advantage of player when he was down. At the same time if a Bulldog player hits a guy when he's down I shed light on it and don't ignore it. Just my passionate 2 cents. In the end Domin picked up a major for a blow to the head, a double minor for roughing and an unsportsmanlike conduct minor but the Dogs didn't take advantage of the power play as they took a penalty early in the minor. Final shots favoured the Capitals 34-26 with Storm Phaneuf picking up third star honours with the win in net while Brody Claeys took the loss giving up four goals on sixteen shots in 26 minutes of work. Unofficial special team stats as it was a bit of a circus at times - I had the Dogs at 1 for 7 on the power play and the Capitals at 1 for 3 while the Capitals also scored twice shorthanded. The Dogs next see action December 30th and 31st when they ring in 2016 by visiting the Kings for a double header in Powell River. After going into play Friday night on a two game winning streak, dropping back to back decisions by a large margin is obviously not the way the Bulldogs wanted to head into the Christmas break. Here's hoping some much needed time off will do the players well and they'll come back recharged and ready to go. To the players, families, staff, volunteers and fans of the Bulldogs - I hope you have a fun, safe and family filled Christmas! 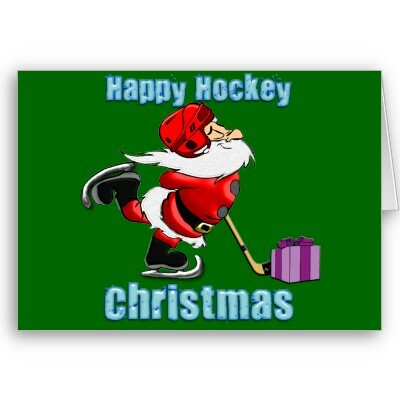 Bulldogs host Capitals tonight, A Very Merry BCHL Christmas! 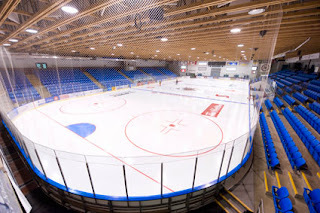 It's the final game before the Christmas break tonight for the Bulldogs (13-18-2-1, 5th Island) as they host the Cowichan Valley Capitals (17-12-2-3, 2nd Island) at the Dog Pound. 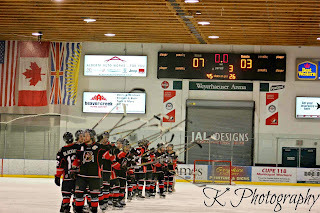 The Bulldogs were in action last night at home where they were blitzed 7-0 by the Victoria Grizzlies. to see their two game winning run snapped. The Capitals were in Nanaimo on Wednesday night where they came from behind to beat the Clippers 4-2 to snap a two game winless run of their own. They still have one more game to go before their Christmas break, as they host the Prince George Spruce Kings tomorrow night at the Big Stick. These teams last met Wednesday, November 25th, a 5-3 Capitals win in Duncan. The Bulldogs won the only game here at the Dog Pound in comeback fashion 4-3 in overtime on October 10th. The challenge tonight for the Bulldogs is to not head on their Christmas break early, and remain focused and ready to play one more game before getting a much deserved break and a trip home to see their friends and families. It's easier said than done of course, but heading into the break on a high and coming off a win is a much better way to go. After losing in the fashion that they did last night, one has to think that they will come out tonight motivated and ready to prove themselves. Pacific Chevrolet Bulldogs Hockey on 93.3 The Peak FM with myself, Bruce MacDonald and Dan Tisserand providing the play-by-play, colour/analyis and team and player stats gets going at 6:45 with the pregame show followed by the puck drop at 7:00pm. It's my second Christmas gift to you in both the 1st and 2nd Intermission shows tonight - a Very Merry BCHL Christmas. It is the same format as my Bulldog Christmas special that ran last night - I contacted every Coach and Broadcaster from around the league and asked them to share what was on their Christmas wish list and also encouraged them to send out season's greetings. A fairly tight start to the game from both sides of the puck as neither team carried the better of the play through the first four minutes. The building would wake up soon afterwards when Garrett Halls caught Jared Virtanten cutting across the Bulldogs line and levelled with a text book open ice hit. The Dogs had the better of the momentum and some opportunities on the power play, but the game remained scoreless through the first 10 minutes. Late in the period Josh Adkins would pick up a five minute major for a hit from behind on Joeseph Visconti. It's a tough call when looking at the video - which the Officials on the ice don't have - but it looks like Visconti takes a look to the middle of the ice, sees Adkins as he picks up the puck, and then turns to the boards to backhand the puck to centre. The hit was certainly from behind, but how much of the onus for that is on Adkins for finishing his check, and on Visconti for not protecting himself when he appeared to be aware of the opponent in his vicinity? Adkins would be challenged by Drayson Pears who wanted some retribution for the hit. Pears was indeed the aggressor, but perhaps no instigator penalty was handed out because Adkins obliged the invitation. The Bulldogs would kill off the penalty masterfully, only allowing a single shot as the period ended. The closest the Grizzlies came to finding the net was when Brett Stirling hit the post from the deep slot. Shots favoured the Bulldogs 8-4 after 20 minutes. Any momentum that was gained at the end of the first, appeared to be lost as the second kicked off as the Grizzlies appeared to have a step on the Dogs. Two good saves by Brody Claeys would keep the Dogs in it, first on a 2 on 1 when he came over to rob PJ Conlon. The second came a minute later when he robbed Cole Pickup who was wide open in the hashmarks while the Dogs were on the power play. Just a minute and change later the Grizzlies found the net on and odd play as Dominic Thom appeared to win a battle behind his net but was then taken down by Brayden Gelsinger as the puck bounced out to the near side of the net where Keyvan Mokhtari one-timed it from a sharp angle and off Claeys and in. Assists on the play went to Brayden Gelsinger and Dante Hahn at 5:37 of the second. Before the Dogs knew what hit them it was 2-0 as Mitchell Barker found a loose puck up the right wing and got behind the Dogs defence and walked into the right faceoff dot where he snapped a shot far-side off the post and in past the blocker of Claeys, with Jared Virtanen picking up the only assist at 5:38. The Dogs would call time out to try and right the ship, but despite back to back power play chances they didn't threaten and didn't look in sync in failing to take advantage of the opportunities. The Grizzlies had a great chance to build their lead at the midway chance of the period, but Brody Claeys went post to post to rob Brett Stirling with a glove save on a 3 on 1 rush. The Dogs pushed and showed some urgency later in the period, but it would cost them as a missed point shot with everyone caught in deep rimmed up the boards and turned in a partial breakaway for Jared Virtanen up the right wing. He would chase it down and skate in tight on goal where he beat Claeys short-side under his glove to make it 3-0 at 14:32 of the period with Alex Peck drawing an assist. Shots in the period favoured the Grizzlies 15-12 for a two period advantage for the Bulldogs of 20-19. The third period saw the Bulldogs fail to come out with a jump to get back in it before they got in penalty trouble. A very odd call saw an initial slash by Rhett Willcox go uncalled, before a retaliation slash by Brayden Gelsinger saw the Referees arm go up. However, the Grizzlies would get the power play as the initial penalty appeared to be retroactively called. The Dogs would kill off a 21 second 5 on 3 for the Grizzlies, but just a second later it was 4-0 as a point shot hit bodies in front and ended up onto the tape of Cole Pickup who slid it into the open side, with assists to Dante Hahn and Kevin Massy at 4:53 of the third. The Grizzlies went up 5-0 three minutes later on the rush as Brody Claeys made a fantastic first save and a mid-air rebound but didn't get enough help as Dante Hahn appeared to bunt it in out of midair. Jared Virtanen and Jake Stevens drew the helpers at 7:19 of the third. The scoring slowed somewhat until the latter stages of the game when the Grizzlies went up 6-0 on a seeing eye wrister from the top of the point by Mitchell Barker that got through a maze of bodies before hitting Claeys and squeaking over the line. Spencer Hunter drew the only assist at 15:32 of the third. It was 7-0 less than a minute later as Cole Pickup won a faceoff in the Dogs end and went to the net where no one picked him up. Cody Van Lierop would simply just get the puck to the net where Pickup deflected it through the legs of Claeys again to just squeak it over the line for the final score. Shots favoured the Grizzlies 34-29 with Brody Claeys taking the loss while Matt Galajda picked up second star honours with the win and the shut out. The Dogs went 0 for 4 on the power play while the Grizzlies went 1 for 4. 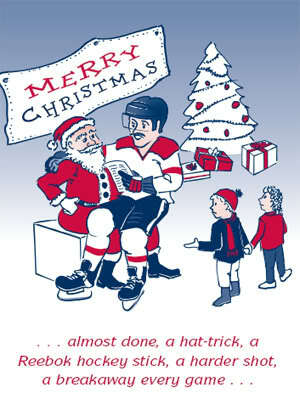 The Dogs conclude their pre-Christmas portion of the schedule tomorrow night when they host the Cowichan Valley Capitals. 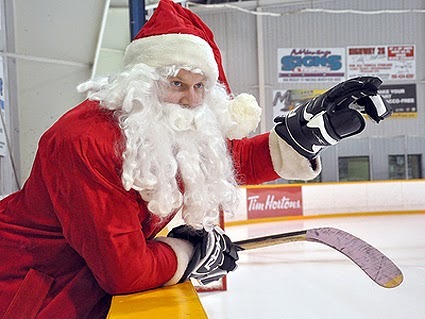 Bulldogs host Grizzlies tonight, A Very Merry Bulldog Christmas special! It's a huge four point game tonight as the Bulldogs (13-17-2-1, 5th Island) host the Grizzlies (13-19-0-4, 4th Island) with 4th place in the Island Division on the line. The Bulldogs enter play tonight a single point back of the Grizzlies with three games in hand, winners of two in a row after a 4-2 win at home over Trail on Monday night. The Grizzlies have lost their last two contests, last seeing action Sunday afternoon at home where they fell 5-3 to the West Kelowna Warriors. After the Bulldogs won the first three contests between the teams, the Grizzlies have won the last two head-to-head meetings, both in Victoria, both by scores of 4-2, most recently on Tuesday, December 8th. 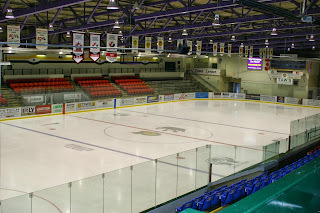 We'll have all the action covered for you as always on 93.3 The Peak FM's Bulldogs Hockey brought to you by Pacific Chevrolet, with the pregame show getting things started at 6:45 with the puck drop and all the action to follow at 7:00 with Bruce MacDonald providing the colour and analysis while I call the play-by-play and Dan Tisserand compiles team and player stats. As it's the second to last game before the Christmas break, tonight I'm happy to give away my present to you! This has become quite the tradition as I think I've been putting this special together for over ten years now. Listen during the 1st and 2nd Intermissions for "A Very Merry Bulldogs Christmas", a compilation of the Christmas wish lists of all the Bulldogs players, coaches and staff. It's a lot of work, but it's always a lot of fun. I hope you enjoy listening to it as much as I enjoyed the experience of putting it together! The idea is simple - I asked the players what was their wish list and what they hoped would be under their tree Christmas morning, and I also encouraged them to send out Christmas greetings to whomever they wanted to send them out to. Tomorrow night it's A Very Merry BCHL Christmas - the same format but with Coaches and Broadcasters from around the entire British Columbia Hockey League. The Smoke Eaters got off to a blazing start, winning the opening draw and setting up a breakaway for Connor Brown-Maloski just 10 seconds into the game but Brody Claeys came up with a big save to keep it scoreless.While the Dogs remained without a shot until over eight minutes into the game, it wasn't for a lack of effort or zone time. They would make their first shot count as newly acquired Rhett Willcox dumped the puck into the right corner of the Trail zone and chased it down. He would win a battle and throw the puck to the slot for Quinn Syrydiuk, who fed it back to the right point for Dominic Thom. He would walk to the deep slot and blow a slap shot home top corner, far-side over the glove of Bailey MacBurnie to make it 1-0 Dogs and send the Teddy Bears flying 8:52 into the first. The Dogs would have two good chances to build their lead while shorthanded, as MacBurnie came up with back to back shorthanded saves on Liam Conrad on a breakaway and a 2 on 1 rush. The Smoke Eaters had a good chance to tie the game on a scramble later in the period, but Brody Claeys made a series of saves on an initial shot and a rebound before throwing out his right toe to rob Cooper Leitch in the paint. Shots favoured the Smoke Eaters 9-7 after 20 minutes. The Bulldogs were an inspired team to start the second, running up a 6-0 lead in shots just over four minutes into the period. The Dogs went to a power play soon afterwards, and looked to take a 2-0 lead first on a Josh Adkins shot that apparently hit the post far-side - I wasn't sure that the initial shot went in. A scramble would ensue that saw Owen Johnson walk in from the line and roof a loose puck over a fallen MacBurnie. Unfortunately, one of the Referees lost sight of the puck and whistled it dead before it went in as it stayed 1-0. That would prove huge, as a couple minutes later the Smoke Eaters would score to tie it up as they caught the Bulldogs being over aggressive in the attacking zone, resulting in a 3 on 1 rush. The Smokies would work the puck beautifully to score a highlight reel goal on a give-and-go as Nick Halloran dumped the puck rink wide to the right circle onto the tape of Ross Armour, who would return the puck to Halloran where he scored into the open side despite a valiant attempt by Claeys to get back over to make it 1-1 at 12:30 of the second. The Bulldogs didn't deflate though, as they continued to attack and had a handful of chances throughout the period. They couldn't finish, or couldn't get a bounce to find the back of the net as the game remained tied 1-1 after 40 minutes. The Dogs out shot the Smokies 16-2 in the period, for a two period total of 23-11. The third period saw some fireworks early as Cooper Sande hit Dominic Thom hard into the end boards when he was in a vulnerable position, resulting in a five minute major for boarding. Early in the power play the Dogs would take a penalty themselves for slashing bringing about two minutes of four-aside hockey. 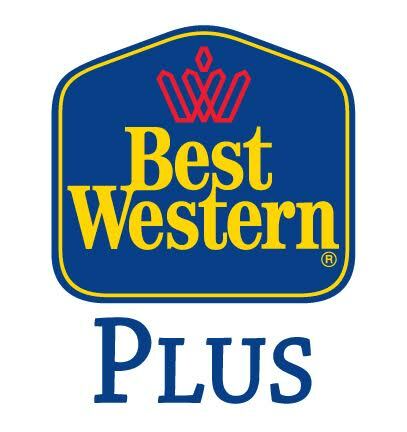 Once back on the power play they would take a 2-1 lead as Troy Dobbs took an Owen Johnson pass in his own end and went up the right wing into the Smokies zone and in deep before throwing a perfect pass to the crease for Liam Conrad who deflected it home through MacBurnie at 6:16. Just 1:59 later it was 3-1 Dogs as Owen Johnson sent Ryan Finnegan in alone on a breakaway only to have MacBurnie make a big left toe save. Credit to Finnegan for sticking with the play, as he put the puck behind the net for Nathan Dingmann. After being knocked down Dingmann would put a perfect centering pass from his stomach onto the tape of Liam Conrad in the hashmarks where he roofed a one-timer top corner, far-side over the glove of MacBurnie to make it 3-1 at 8:15 of the third. The Smoke Eaters didn't go away though, scoring on a seeing eye wrister from the deep slot off the stick of Evan MacEachern from a Nick Halloran pass that beat Claeys low blocker to make it 3-2 at 12:00 of the third. The Smoke Eaters would have one great chance to tie the game with just over four minutes to play when they flew their zone off a draw and chased down a loose puck that saw Harlan Orr alone in front only to be robbed by Claeys to protect the lead. The Dogs would seal the deal into an empty net when Rhett Willcox lifted the puck high to centre ice and into the Smoke Eaters zone where it was chased down by Adam Donnelly. He wouldn't win the race, but he didn't lose it, allowing Quinn Syrydiuk to skate onto it and fire it into the open cage to make it 4-2 with 1:22 to play. Final shots favoured the Bulldogs 38-18 with Brody Claeys picking up the win while Bailey MacBurnie earned second star honours with the loss. The Dogs went 1 for 3 on the power play while the Smoke Eaters went 0 for 1. The Dogs are next in action Thursday at home against Victoria. Port Alberni, BC – The Alberni Valley Bulldogs are pleased to announce the acquisition of Rhett Willcox from the Cowichan Valley Capitals in exchange for Future Considerations. 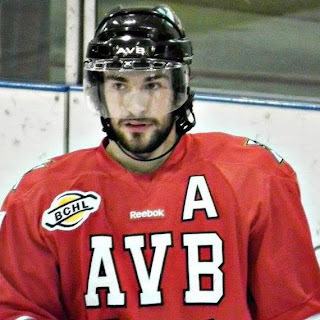 Willcox is a gritty two-way forward with 130 games of BCHL experience who previously spent time with the Merritt Centennials, the Trail Smoke Eaters, and the Capitals. This season Willcox has 19 points in 33 games. Prior to that, Willcox was a standout player for the Valley West Hawks in the British Columbia Major Midget League where he scored 21 goals and 52 points in 2012-13. The 5-foot-10, Surrey, BC, native is expected to join the Bulldogs immediately and make his debut against his former team, the Trail Smoke Eaters, tonight at 6pm on Teddy Bear Toss night. Welcome to the team and the community Rhett! Bulldogs host Smoke Eaters tonight, Teddy Bear Toss tonight, Chase VanAllen interview! It's the always fun Teddy Bear Toss tonight as the Bulldogs (12-17-2-1, 5th Island) host the Trail Smoke Eaters (15-17-0-0, 5th Interior) at the Dog Pound for the second meeting between the teams in just ten days. The Smokies won the previous contest last Friday in Trail by a score of 1-0 at Cominco Memorial Arena. 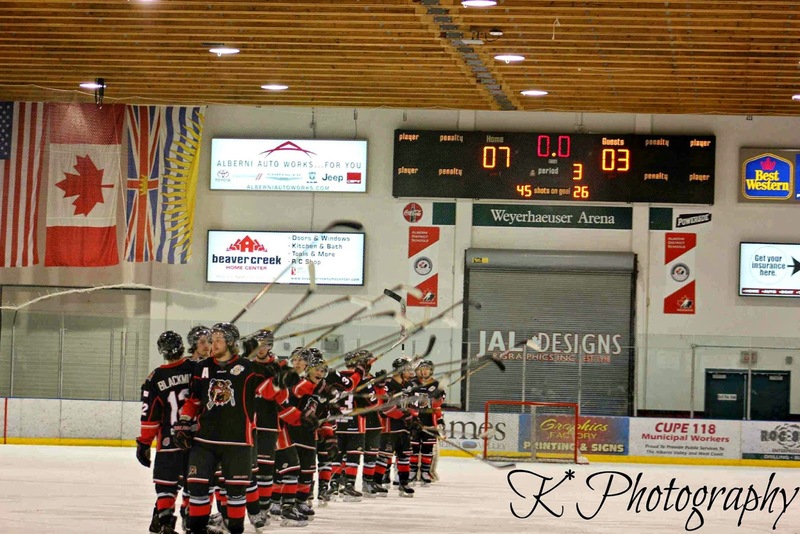 The Dogs made their return to home ice Friday night, coming back to beat the West Kelowna Warriors 4-2. The Smoke Eaters kicked off a three game Island Division swing Friday night in Powell River where they won their third in a row, 4-2 over the Kings. After an unexpected Saturday night off they ran their streak to four with a 7-3 win yesterday afternoon over the Capitals in Duncan. The Teddy Bear Toss is always a fun sight to behold, but it can also have an adverse effect on the game the more minutes that pass without the fur flying, so it's important in my opinion that the Dogs get off to a good start and get it out of the way early! As fun as it is to watch, the real difference that this night makes happens next week when the Bulldogs get out and about in the community and hand deliver the bears to less fortunate kids and residents of local care homes and patients at West Coast General Hospital. There are some out there that might see the Toss as a gimmick, or something that has run it's course over the years. In talking with the Bulldogs players and staff who hand deliver them all I have heard is how uplifting of an experience it is for both the guys delivering the bears and the people receiving them, at a time of the year when those with less or having tough times could really use it. So please consider something fuzzy, big or small, as it makes a BIG difference to people. Here's some sights and sounds from tosses from the past. Myself, Dan Tisserand and Bruce MacDonald will be in the booth and on your radios and computers and smartphones tonight providing the play-by-play, colour/analysis and team and play statistics on Pacific Chevrolet Bulldogs Hockey on 93.3 The Peak FM starting with the pregame show at 5:45 with the puck drop and play-by-play to follow at 6:00pm. 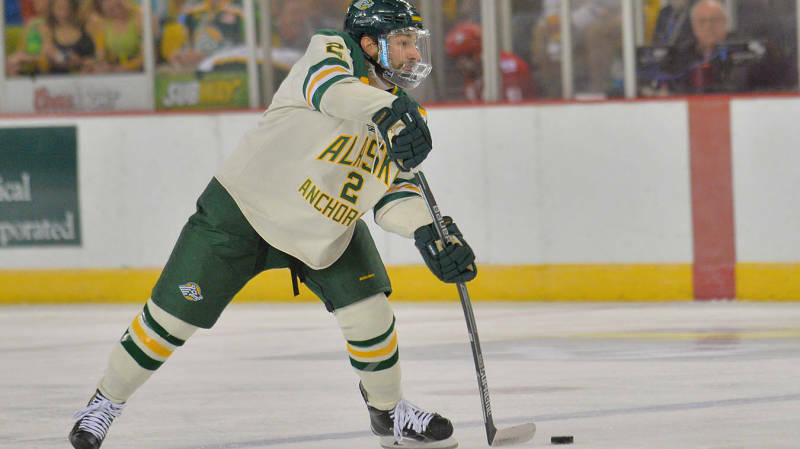 Tonight's 2nd Intermission guest is former Bulldog Chase Van Allen, now in his third season with the NCAA's University of Alaska Anchorage Sea Wolves - how about the neat picture below! Chase was voted Best Defenceman, Community Hero and and Most Inspirational at the Bulldogs year end Awards Banquet following the 2012-2013 Island Division Championship season. Tonight's Bulldogs game vs Trail has been postponed due to Ferry cancellations - the game will now be played at 6pm on Monday. A fairly flat start to the game from both sides of the puck as their wasn't much in the way of flow. The Warriors had the best chance early in the game as Jonathan Desbiens was found behind the Dogs defence with a stretch pass after he had to delay exiting the zone to pick up a glove and stick lost while tripping up a Bulldog defender. Brody Claeys would appear to get his glove arm on the initial chance, then a pad on a follow up wrap around, before making one more desperation save to keep it scoreless. Desbiens would have another glorious chance when he was found in alone on a broken play in the attacking zone when he appeared to go through his own legs to try and to short-side high but Claeys stood tall to make the save. The Bulldogs certainly looked to be fighting the puck a bit earlier in the period, but got some good chances in the final couple minutes of the period. Shots in the period favoured the Bulldogs 7-6. The Warriors would have another fantastic chance early in the second, but Brody Claeys stuck out his right pad to rob Conner Sodergren on a cross-crease pass. The game would remain scoreless until just short of the midway mark of the frame when Jonathan Desbiens missed the net on a breakaway and Adam Donnelly sent Nathan Dingmann up the left wing on the rush where he made a defender miss before walking to the net and roofed it short-side high on Bretty Clark at 7:42 of the second. The Warriors would respond on the power play five minutes later when Garrett Forster put the puck at the net from the top of the left circle, where it was stopped by Claeys off a Reid Gunville deflection in the crease. Kyle Marino would chip home the loose puck to tie the game at 1-1 at 12:44 of the second. Just 30 seconds later it was 2-1 Warriors as the Dogs went to a power play immediately after the goal. Brody Claeys would go back of his net to play the puck, but it appeared to hit a Dog forward coming back and end up on the stick of Kylar Hope who wrapped it around and inside the far post to make it 2-1, unassisted at 13:14 of the period. The Dogs would earn another power play later in the period, but it was the Warriors who had the best chance on a breakaway as Brody Claeys stood tall and got his pad out to stop Brett Mennear and keep the Dogs in it and down just 2-1 after 40 minutes. The Warriors out shot the Dogs 15-9 in the period for a 21-16 advantage after two. The Warriors started the period on the power play, but it was the Bulldogs who found the net before the ice was dry while shorthanded as Josh Adkins broke up a pass that deflected to Eric Margo. He would pick it up and carry it over the Warriors line up the left wing before firing a quick shot on net from a sharp angle below the left face off dot that beat Brett Clark far-side to make it 2-2, just 22 seconds into the third. The Bulldogs would take the lead back in the back half of the period when Dominic Thom delayed exiting the Dogs zone and found Josh Adkins up the left wing over the West Kelowna line. 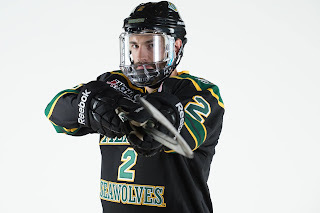 Adkins would appear to try and saucer a pass to Quinn Syrydiuk, but it actually went on goal where it was whiffed on by Brett Clark, again beating him far side to make it 3-2 Dogs at 11:38 of the third with Quinn Syrydiuk also assisting. The Dogs would have the better of the play in the attacking zone as time ticked away, and appeared to possibly be deserving of a power play when Kyle Kaufmann got cross-checked head first from behind in front of one of the Referees. It appeared with that let go that they were going to let them play, but just 30 seconds later a centre ice trip went against the Bulldogs as the Warriors went to a huge power play to try and tie game with just over three minutes to go. It was instead the Bulldogs who got some insurance with their second shorthanded goal of the game as Quinn Syrydiuk cleared the puck out of the right corner of the Dogs zone off a Warrior defender at the line and to centre where it was chased down by Josh Adkins who made no mistake on the breakaway going top corner over the blocker of Clark at 16:41 of the third for the eventual 4-2 final score. Final shots favoured the Warriors 27-26 with Brody Claeys picking up the win in net while Brett Clark took the loss. The Dogs went 0 for 4 on the power play while also scored twice shorthanded, while the Warriors went 1 for 4 on the power play while also scoring once shorthanded. The Dogs are next in action tomorrow night when they host the Trail Smoke Eaters on Teddy Bear Toss night.